With Den-City – Urban Landscape, Sergei Tchoban lets us feel the essence of density: façades of the buildings are pushing pedestrians, dangling street cables are covering the view of the sky, and places hum about merging of stone, glass and steel. And suddenly moments of complete silence latch on the viewer, as a thinking break from all the dust and noise. 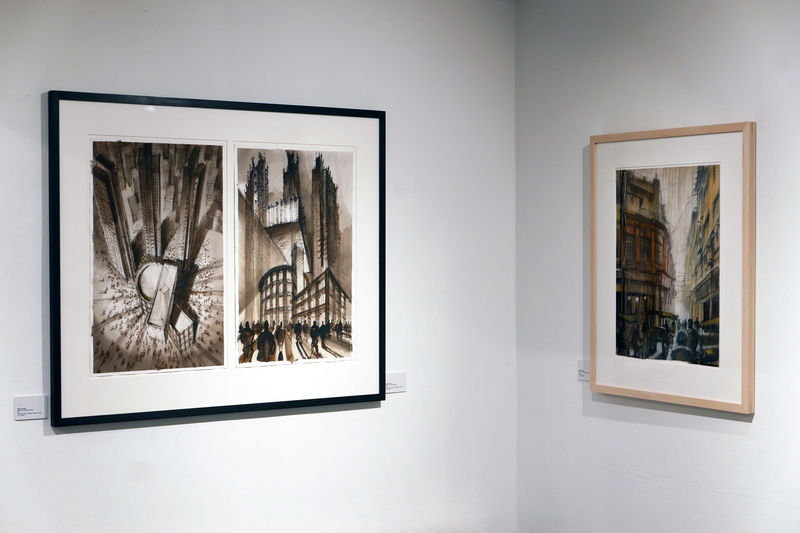 In his drawings, which were created mainly during his travels Tchoban captures not only the flickering atmosphere of Asian metropolises, but also the urban jungle of an American city. 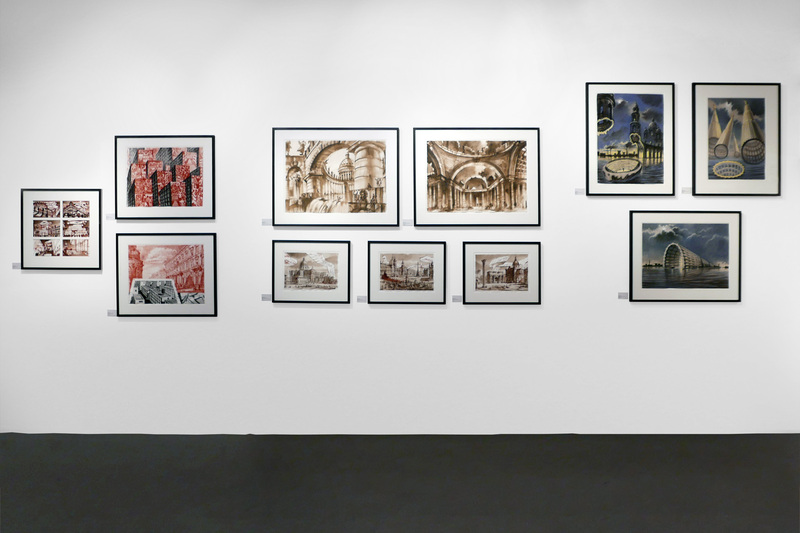 With the city characteristics seen and experienced, the artist composes breathtaking fantastical drawings, some of which will be shown in the context of Den-City for the very first time. Tchoban senses the tunes of this city symphony in most appropriate ways. Lines in glowing yellow pastels illuminate dark urban canyons in Tokyo. Sharp pencil and accurate ink lines connect the Renaissance facades of Rome with a glassed structure of the future. His energetic strokes with chalk simulate the overlapping of modern living cubes with its richly decorated history. 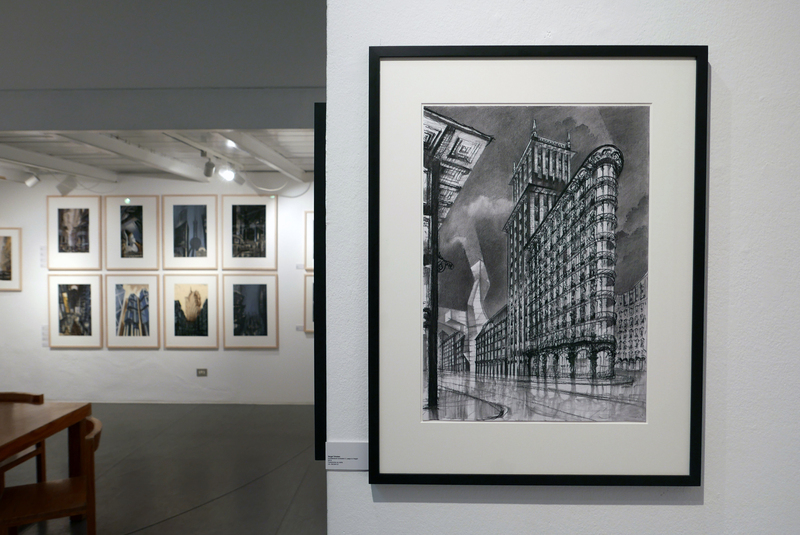 Through the lens of his drawings Sergei Tchoban raises the question: what does our future in the city structures look like? Does it lie in swimming water castles or in floating glassed bridges entering the contrasting harmony with familiar patterns of a city? Then with the skilful technique and changing viewing perspectives, he is pointing out intensively the unavoidable main subject: the increasing density of our urban and social space.